The Office of Director of National Intelligence has opened a newly-renovated campus designed to facilitate collaboration in the intelligence community. ODNI said Wednesday the facility in Bethesda, Maryland will house up to 3,000 employees from the Defense Intelligence Agency, National Intelligence University and ODNI’s National Counterintelligence and Security Center. 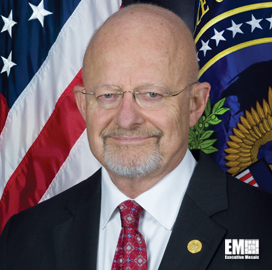 “This facility is – in so many ways – the physical manifestation of ‘intelligence integration,’” James Clapper, director of national intelligence, said at the ribbon-cutting ceremony Wednesday. ODNI installed photovoltaic solar panels, daylight sensors, LED lighting systems and groundwater heat pumps at the campus in an effort to reduce energy consumption.